I've always admired the work of fashion designer Ralph Rucci, though sadly I don't own any of his clothing. His creations appeal to me because of their clean lines and architectural shapes, something that I think looks especially flattering on tall, thin women. But it's the details that Rucci uses to embellish his clothing that is equally as impressive, though perhaps embellish isn't the best word to use. The embroidery that appears on Rucci's clothing, for example, is done in such a way that it becomes part of the soul of the design rather than a mere decorative embellishment. 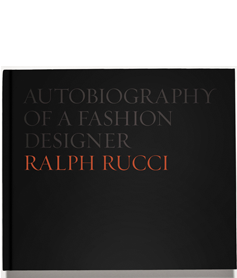 I first got a glimpse of the recently published book Autobiography of a Fashion Designer: Ralph Rucci on New York Social Diary. The idea of a book that explored both Rucci's home as well as his design atelier intrigued me. After all, having almost every facet of one's home photographed is really rather personal. Needless to say, when I was offered a review copy, I said yes. I'm so glad that I did, too, as the book is one of the more unique and captivating books that I've seen. The first half of the book explores Rucci's home, what he calls his "sanctuary." 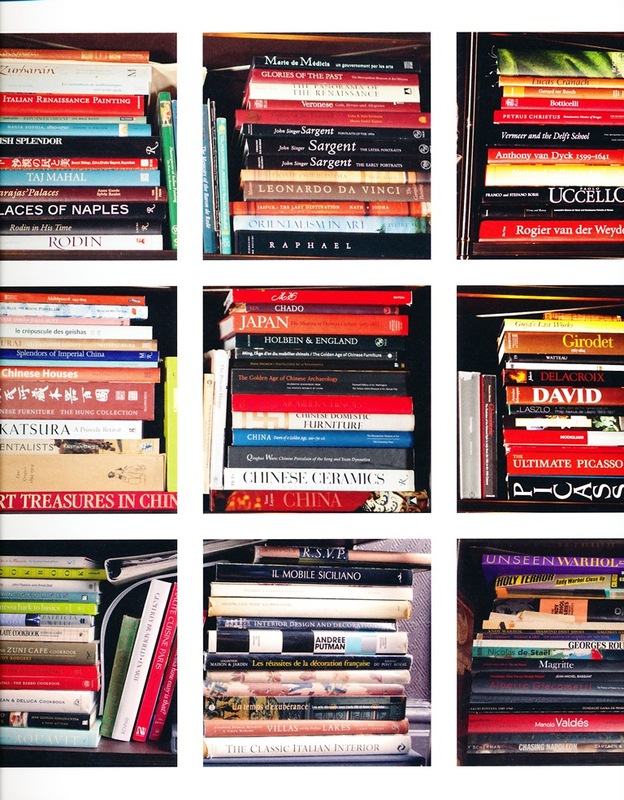 The photos of his bookshelves, kitchen shelves, and artwork goes a long way in capturing both Rucci's sense of aesthetics as well as his intellectual side. Rucci seems to take a very artistic and philosophical approach to both collecting and decorating, something that can also be seen in his fashion collection as well. But what the book's photos also do is to give the reader a sense of who Rucci is as a person. 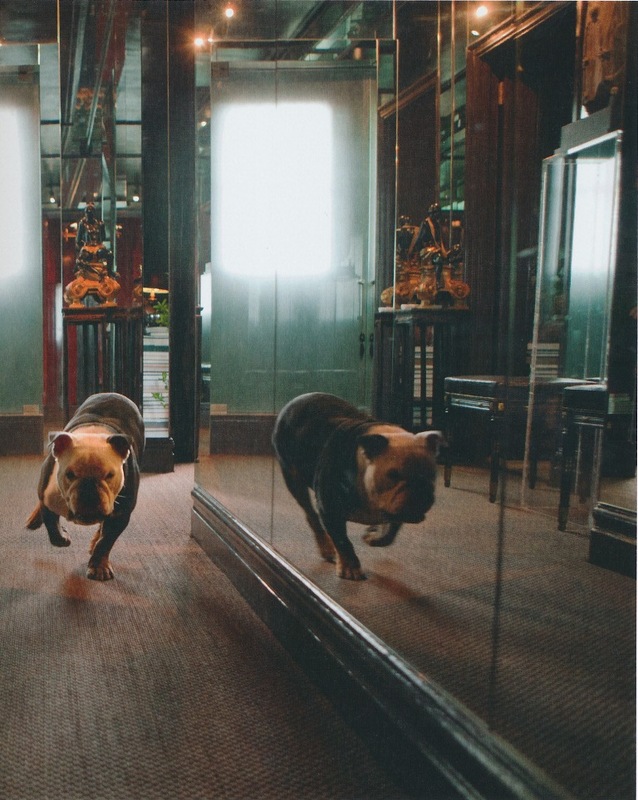 After reading the book, I know that he is devoted to his bulldog, Twombly, and that he is an ardent fan of Elsa Peretti's work. He has a passion not just for fashion, but for interior design as well, something that is evidenced by his impressive (and I really mean impressive) collection of design books. 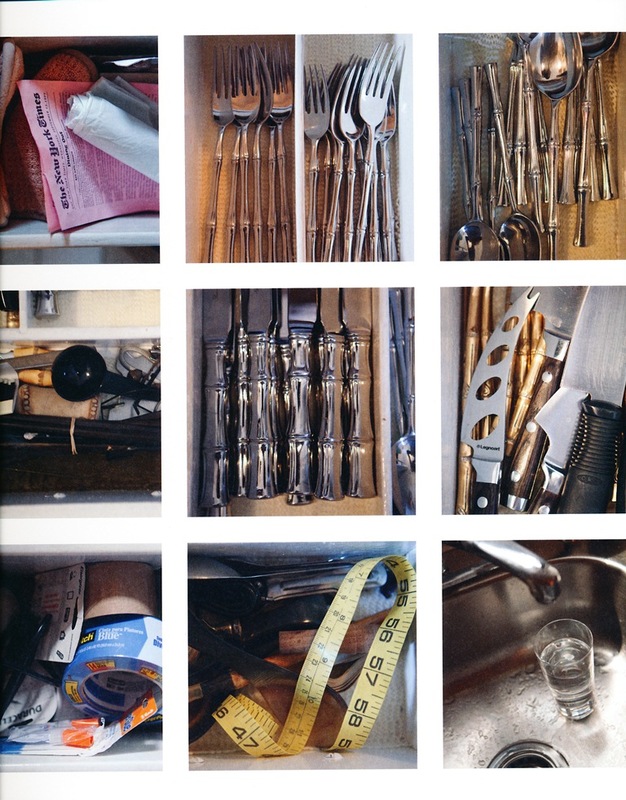 And I have to admit that I even got a little excited to see a shot inside one of his kitchen drawers where a set of Ricci Bamboo stainless flatware was stored, the same flatware that I use on a daily basis. What can I say? It's a bit of a thrill to know that someone like Ralph Rucci dines with the same flatware pattern that I do. I've scanned a few photos of the book including some from the second half of the book that focuses on his design studio. 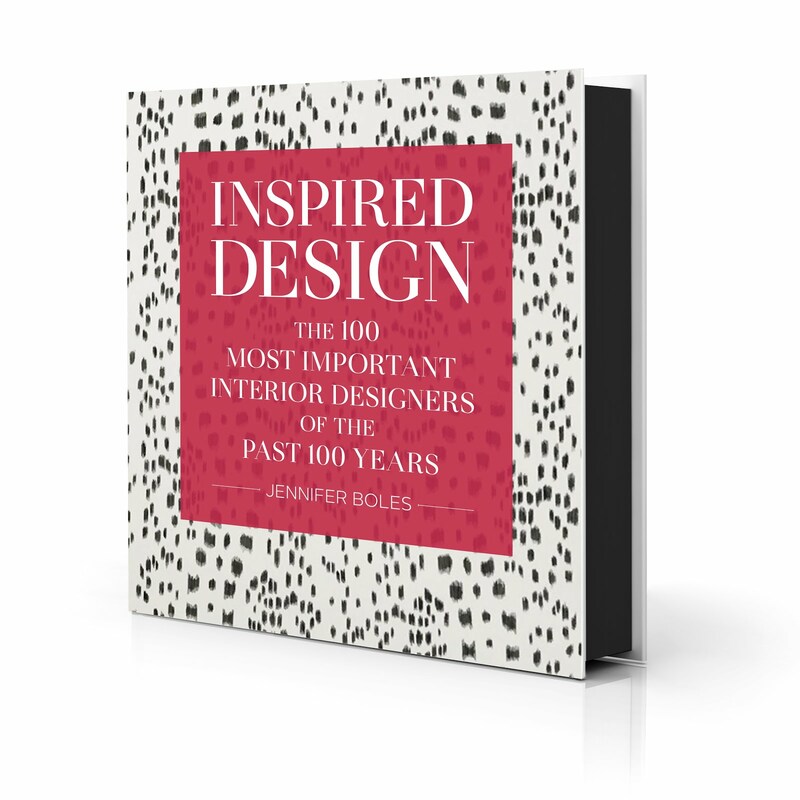 As you can see, it's a unique book, one that is entirely fitting for a designer who has forged his own path in the fashion business. And if you have the opportunity to buy a copy for yourself, I highly recommend doing so. 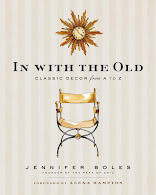 I have a feeling that I will be referring to this book time and time again. Twombly bounding through the hall of Rucci's home. 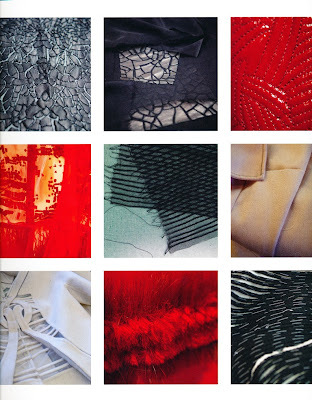 Detail shots of Rucci's designs show the incredible workmanship and artistry for which Rucci and his team are known. 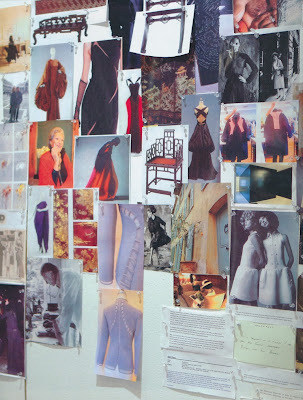 An inspiration board in Rucci's office. All photos from Autobiography of a Fashion Designer: Ralph Rucci , Bauer and Dean Publishers, 2011; Baldomero Fernandez photographer. I always love a glimpse into designer's homes. Looks like I'm going to have to get it. My favorite is D.V.--still. I love the bamboo pattern flatware. Wouldn't it be great in a satin stainless more like pewter? I love this book too. got to get a signed copy of it, such a gracious man. His interiors certainly are reflected in his couture.